AP LAWCET 2018 Date announced. 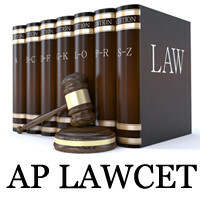 AP LAWCET Stands for Andhra Pradesh Law Common Entrance Test. The AP Law Entrance Test is a state level entrance exam. Andhra Pradesh LAWCET Exam is organised by Sri Krishnadevaraya University, Ananthapuram on behalf of Andhra Pradesh State Council of Higher Education (APSCHE). This exam is conducted every year to provide the admissions in UG law courses such as LL.B in the universities/colleges in Andhra Pradesh. Through Andhra Pradesh Law Entrance Exam, the university will provide the admissions in the undergraduate law courses offered by the various colleges. This year 8030 seats are available for three years LLB courses, and 3800 seats are available for five years LL.B courses in the Andhra Pradesh. AP LAWCET Notification 2018 will release in the month of February 2018. Candidates who are willing to join in the law courses have to check the complete details provided. The details such as notification, online application, exam dates, steps to download admit card, results, etc. The Andhra Pradesh LawCET 2018 application forms will be available online from February to March 2018. So, interested candidates can apply for the Andhra Pradesh law common entrance exam through online soon before the last date to avoid the server issues. Also, Check All State Wise & National Level Law Entrance Exams here. The Sri Krishnadevaraya University, Anathapuram on behalf of APSCHE has issued AP LAWCET 2018 Notification. The applications are invited for the candidates through online by the officials. Candidates can get the seats in the UG law programs in the universities or colleges of Andhra Pradesh through this law entrance exam. Hurry Up!!!! apply for the exam by filling the AP LAWCET application form before the deadline. Candidates who are wishing to apply for Andhra Law Common Entrance Test can see the notification details carefully. The aspirants who have met the eligibility criteria can fill and submit the APLAWCET 2018 Online Application before the last date to avoid the server issues. Candidates can get the complete details of the AP LAWCET 2018 Exam such as notification, exam dates, eligibility criteria, exam centres, application form, exam pattern, etc. Candidates who have cleared the AP LAWCET Entrance Exam 2018 will get the admissions in the following courses. The undergraduate law courses offered by the universities or colleges are as follows. The eligibility criteria for the AP LAWCET 2018 are provided below. The candidates have to meet the eligibility conditions such as educational qualification, lawcet 2018 age limit, etc. to appear for the lawcet exam. Candidates should be the citizens of India. Aspirants other than Indian nationals are also eligible to apply for the exam. Candidates have to satisfy the local/non-local status requirements laid down in the AP educational institutions. For LLB course (3 years): Candidates should have passed the graduation from a recognised university with at least 45% marks for general and 40% for SC/ST candidates. For LLB course (5 years): Aspirants must have completed the intermediate/12th or any equivalent exam from a recognised board securing minimum 45% marks and at least 40% marks for SC/ST candidates. No maximum age limit for the applicants. AP LAWCET 2018 Application Form is available through online from February to March 2018. Candidates who are willing to join in the law colleges can apply for the Andhra Pradesh Law Common Entrance Test (APLAWCET) Exam by filling the AP LAWCET Application Form 2018. Also, candidates have to upload the passport size photo & signature. After the successful submission of the application form through AP LAWCET 2018 Apply Online link, Aspirants have to take the printout of the application form for future use. The AP LAWCET Application fee is Rs. 700/- and the processing fee is Rs. 57.50/-. The fee can be paid in two modes. Candidates can pay the registration fee through online by using credit/ debit card/net banking. Also, aspirants can make the fee payment through AP Online centres. The AP LAWCET Exam is expected to be conducted in 10 different exam centres in Andhra Pradesh. Candidates have to choose the exam centre at the time of filling the application form.Aspirants are allotted to the exam centres from the choices opted on the first-come-first-serve basis. Once the exam centre is allotted, the changes will not be done under any circumstances. The regional centres where the AP LAWCET exam is carried out are as follows. The LAWCET Syllabus 2018 consists of three sections. They are General Knowledge, Mental Ability, Current Affairs & Aptitude for the study of law. Candidates who want to join in the 3-year law courses will have the syllabus from the degree level. And for the aspirants who want to get the admissions in 5-year law courses, the AP LAWCET Syllabus is of intermediate level. The AP LAWCET Exam Pattern 2018 consists of no. of questions asked in the exam, total marks, duration of the exam, etc. details. The LawCET 2018 Exam pattern is as follows. The exam contains three sections, i.e., Part-A, Part-B & Part-C.
LawCET exam consists of objective questions (multiple choice & matching questions). There are total 120 questions. AP LAWCET question paper will be in both English and Telugu medium. The exam is for total 120 marks. Candidates have to utilize the APlawcet previous question papers with answers in the preparation for the exam. Aspirants can attempt the exam with a focussed mind and manage their time without wasting the efforts once the candidates have practiced the AP LAWCET Model Papers. By downloading the AP LAWCET Previous Question Papers Pdf Papers and practicing them, candidates are aware of the topics, analyze the performance day by day, etc. And the continuous solving of the sample papers will lead to the increase in the speediness of the candidates. Without proper preparation, it is difficult to handle the situation on the day of the exam itself. So, practice the ap lawcet entrance exam model question papers again and again. The AP LAWCET Hall Ticket 2018 will be available through online from April 2018. Candidates who have successfully registered for the exam have to download the APLAWCET 2018 Hall Ticket. The officials will not send the admit card through post. Candidates have to download the Andhra Pradesh LawCET 2018 Admit Card through online itself to attend the exam. Aspirants can get the details such as date of exam, exam time & venue, roll number, etc. through the admit card. The LAWCET AP Answer Key 2018 will be uploaded through online within few days expected to be released in the month of April. The final APLAWCET 2018 Key will release in the month of May 2018. Candidates have to cross check the answer sheet with the help of answer key provided. Aspirants will get a clear idea whether they will qualify the Lawcet 2018 Andhra Pradesh exam or not. With the help of the AP LAWCET Answer Sheet, candidates can analyse the position in the merit list. APLAWCET 2018 Cut off marks is the minimum cut off the candidates have to reach to qualify the law entrance exam. The minimum qualifying marks the candidates have to score 35% of the total marks. Candidates who secure equal or more than ap lawcet qualifying marks are only eligible to get the admissions in the UG law courses. So, prepare well to secure a good score in the Andhra Pradesh Law Common Entrance Test. The officials will release the AP LAWCET Results 2018 in the month of June 2018. Candidates who have successfully attended the exam can check the LawCET Result 2018 through online. Aspirants have to enter the details such as roll number, password, etc. to check the result. The officials will release the rank cards for all the qualified candidates who have attended the exam. The aspirants have to preserve the admit card safely to download the rank card. The AP LAWCET Rank Card 2018 will be available through online for the qualified candidates only. The Andhra Pradesh Lawcet Score Card 2018 is mandatory for the candidates who want to attend the admission process. The rank card will not be sent to the candidates through post. Candidates have to enter the login details to download the AP Law CET Score Card 2018 through online itself. The rank card is valid only for this academic year. So, candidates who are willing to attend the admission process have to download the rank card as soon as possible. A separate rank list is prepared by the officials on the basis of the score obtained in the exam. Based on the rank list, candidates have to attend for the further admission rounds. The candidates who have successfully attended & qualified the exam have to appear for AP LAWCET Counseling 2018. Candidates have to attend for the admission process on the AP lawcet counselling dates 2018 on the basis of rank. After the completion of the lawcet 2018 Andhra Pradesh counselling, candidates have to report to the respective college. Candidates have to carry all the original documents which are required at the time of document verification. Candidates who have missed to submit any of the certificates are not eligible for the admissions provided through AP LAWCET 2018. The AP LAWCET colleges list is provided below. The AP LAWCET participating colleges may vary from year to year. Candidates can have a look at the list of the participating colleges of AP LAWCET 2018. Dr.B.R. Ambedkar University, Srikakulam, etc. The Andhra Pradesh Lawcet helpline centres are given below in the table. In case, candidates have any issues regarding the counselling process contact these helpline centres. We hope that our unit has covered all the information regarding the Andhra Pradesh Law Entrance Exam 2018. The details covered in this article is for the guidance purpose only. Candidates can refer the official website for further information regarding AP LAWCET 2018. We advise the candidates to follow our site regularly to get the regular updates for Andhra Pradesh Law Common Entrance Test 2018. All the best. 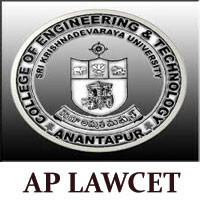 The AP LAWCET important download links are provided here for the convenience of the candidates. Candidates can utilize the information provided here in this article. You can also get the complete guidance from our unit from the time of preparation till you get the admissions in the colleges. I want to BL now my age is 36 years and I completed B.com, M. B,A., M.A what is procedure.